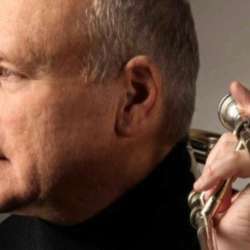 The New York Trombone virtuoso and singer Jerry Tilitz came to Hamburg in Protected content stayed ever since. The Galerie Ensemble featuring Martin Thissen (dr), Maria Rotfuchs (b) and Patrick Farrant (guit) with the good possibility of guest artists coming by to sit in. In my humble opinion, a very relaxed way to say bye to the first week of work after vacation and to welcome the weekend. A gorgeous donation for the musicians is very welcome. Admission is free of charge.